The quality of a product must be ensured to conform to the necessary standards set out. It’s also helpful to guarantee consumer satisfaction with the product. Higher consumer satisfaction leads to higher sales, ultimately leading to more profits. Therefore, to assure that the quality control of a product is being performed properly, the use of quality control software is essential. 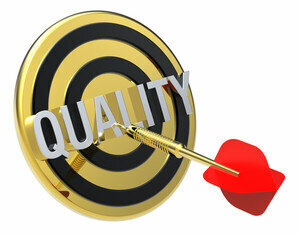 There is no guarantee that quality control is assured if other means are used. An ideal quality control software uses several quality control tools as part of the solution to aid with the finding and eliminating of issues that affect the quality of the product. Harrington Group International has introduced a solution package, Quality Control Software that includes a set of quality control tools and equipment used in perfect harmony to achieve the purpose of the software. These quality control tools are capable of locating issues within the production process and helping eradicate them so the entire process is free of problems and can deliver a quality final product as the output. Our Quality Control Software is focused on locating defects of products before they reach the customer and rectifying these defects within the production process itself so subsequent batches of products manufactured are free of those flaws. Our software has built-in mechanisms that help handle these defects. We have also made use of statistical data to ensure the final product meets the required quality standards. Apart from those key benefits, there are many indirect advantages of using our software. The product complying with the necessary standards will ensure the product is ready to obtain ISO certification. Any consumer complaints received will drop drastically and thereby there will be no additional cost on reverse logistics and reimbursements. Overall production efficiency can be improved as well when there is a minimum of issues relevant to the product supply chain.